I feel really silly right now – I never actually thought to cook the stems with the leaves, they always get thrown away! 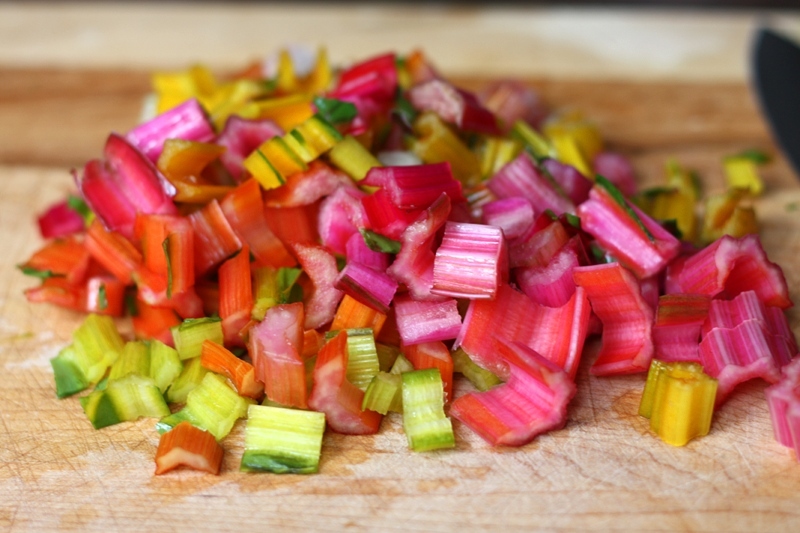 I will be changing that next time I buy chard. 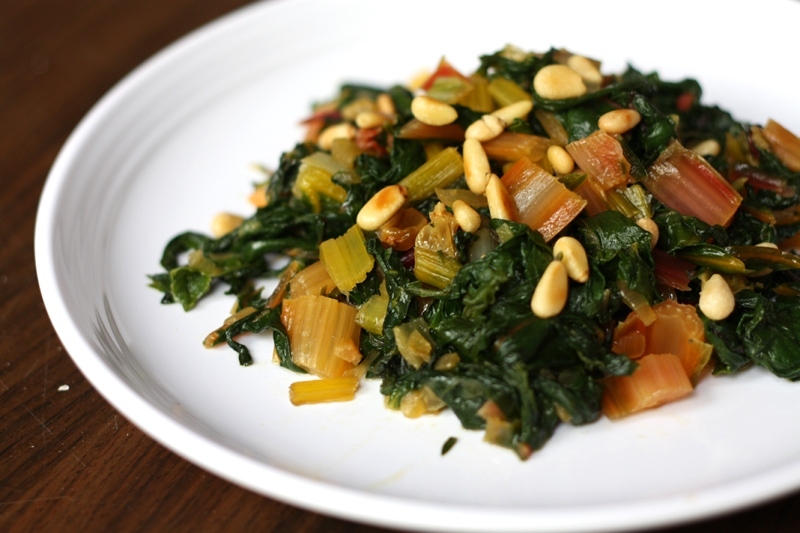 Spinach with raisins and pine nuts is one of my favorite side dishes, so this sounds great! What wonderful color. I can see why you talked it up to everyone. Glad it tasted as good as it looks! Love the colors in those photos! 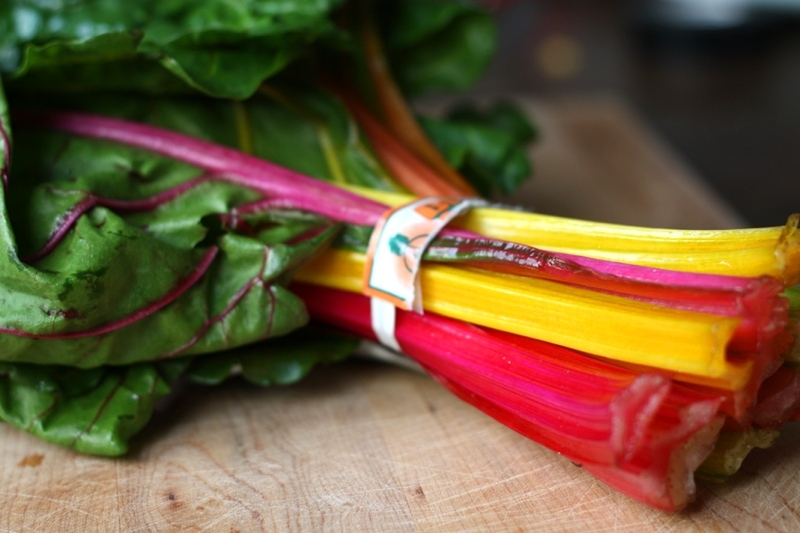 You are currently reading rainbow chard at one cake two cake.